*This post is in partnership with Coastal Kitchen. I received a gift certificate to the restaurant and I am not being paid to write this post. Thank you for supporting the companies and brands that make KFC Loves You possible! 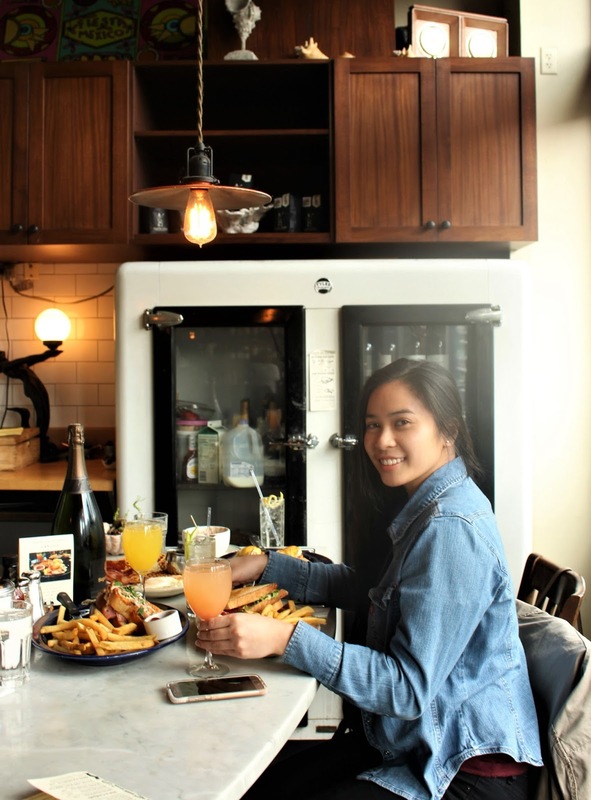 I am extremely excited for today's post as I had an opportunity to partner up with one of my favorite restaurants in Seattle, Coastal Kitchen, for a local giveaway over on my Instagram account! The giveaway is to promote their Breakfast for Dinner event on Wednesday, Dec. 21st, 2017 and we are giving away TWO (2) complimentary entrees (for you and a friend!) 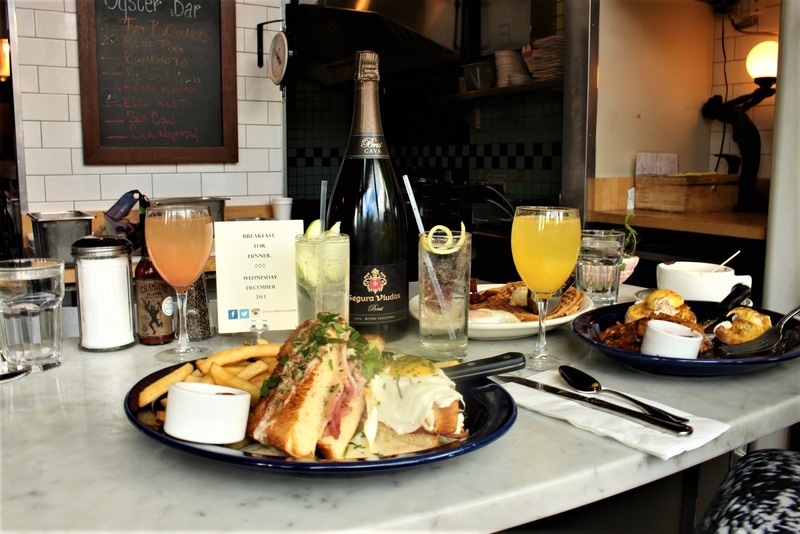 to the Breakfast for Dinner event along with a $75 gift certificate to Coastal Kitchen Seattle! I usually go to Coastal Kitchen for their amazing $1 Oyster Happy Hour on Tuesdays but I really do enjoy their breakfast and lunch menu! 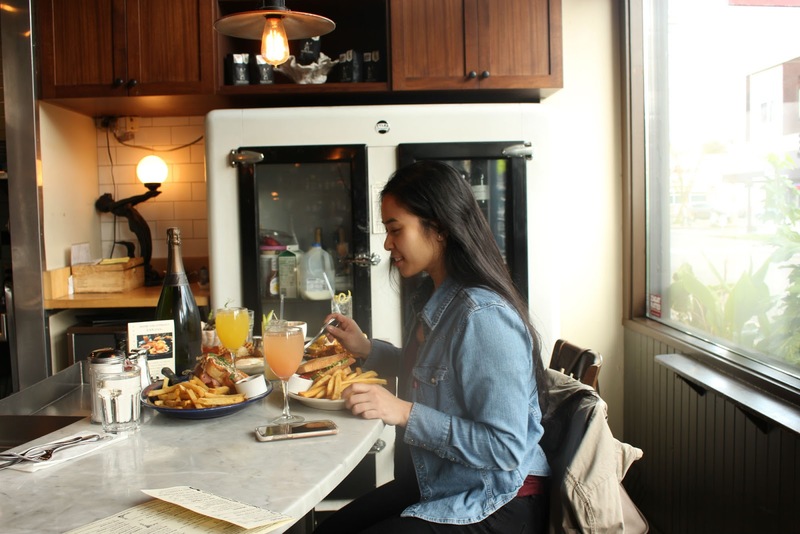 Some of my favorites are featured below including the Gingerbread Waffle Slam and their Croque Madame featured on their Belgium tour! This contest is open to Washington/Seattle locals only due to the nature of the contest. The rules are simple: follow @kfclovesyou and @coastalkitchenseattle on Instagram and tag a friend in the comments below. You can enter multiple times by tagging a different friend in a separate comment. 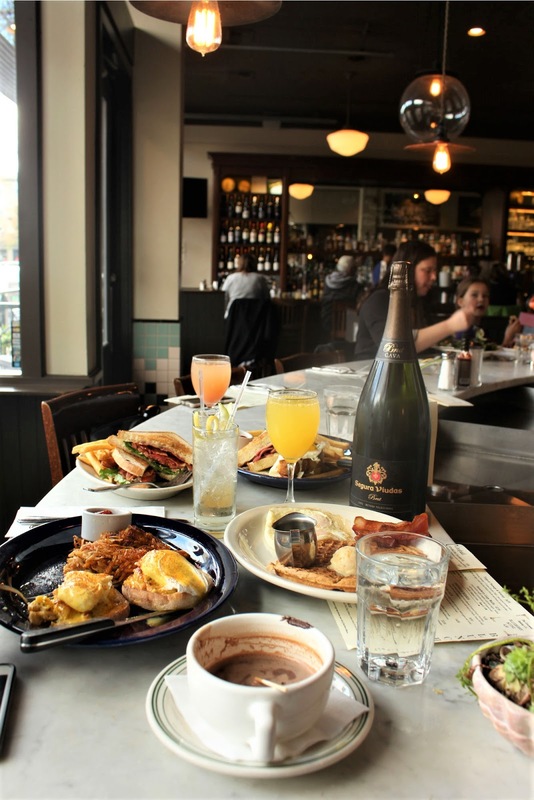 Note: You can regram this post under the hashtag #brunchpastlunch for extra chances to win! That's it! There will be one (1) winner who will win the $75 gift certificate and two (2) complimentary entrees to Coastal Kitchen. The competition closes on Friday, Dec 16th at 12 PM and the winner will be announced shortly after in the caption of this post. Please note that this prize is non-transferable and cannot be exchanged for cash value. Check out the Facebook Event for more info or see below! "Winter Solstice…an astronomical phenomenon marking the shortest amount of daylight and the longest night of the year. Too little time for breakfast? We just couldn’t let that happen. Reservations are accepted, but not required." Hey everyone! 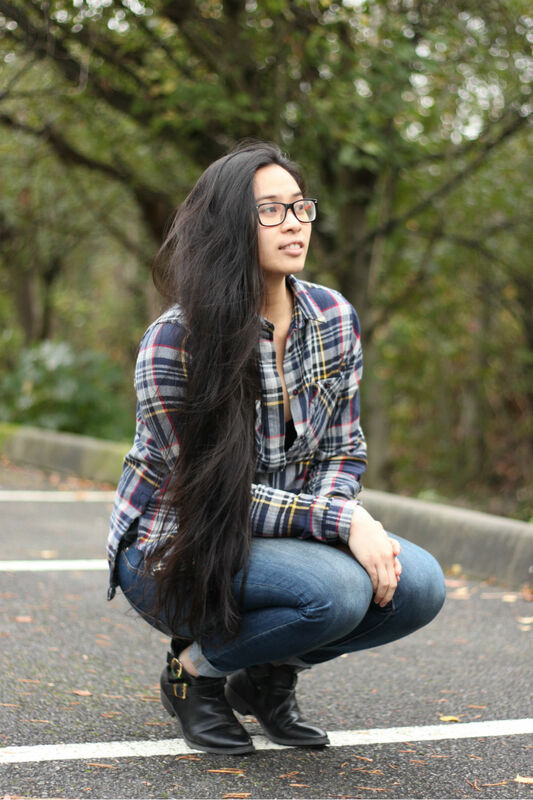 As promised, I've finally taken the time to talk about my hair and decided to break it up into different parts in my "Long Hair Series." This series will include what I do when I wash it, what products I use, how I take care of it, hair accessories, treatments and more! It finally stopped raining for a couple of days and it was sunny and warm enough out to spend the day without a thick coat or rain jacket. There's something about the combo of black and red that just draws to me, especially when faux leather is involved. 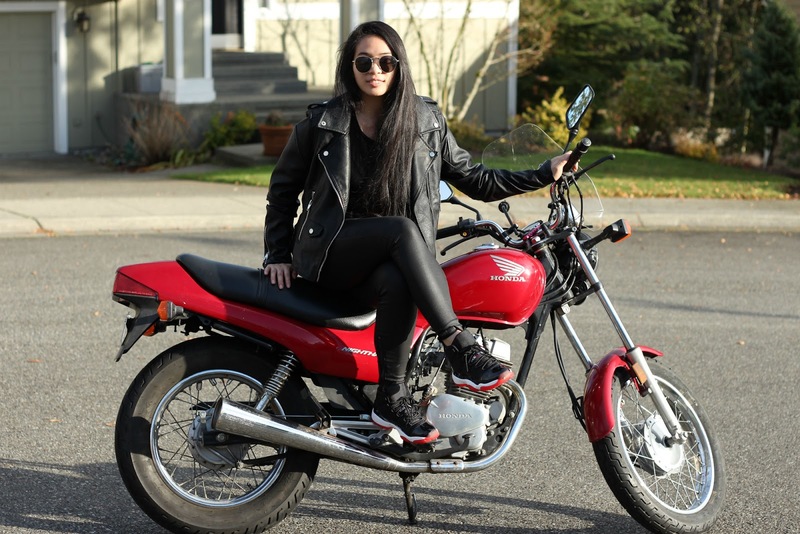 I finally decided to put this BLANKNYC faux leather jacket from the Nordstrom #nsale to use for a shoot and it turned into a fun, spur-of-the-moment outfit shoot with my cousin's Honda Nighthawk! We're halfway through Fall and now that November is here, I wanted to share a few of my favorite items of the season (in flatlay form of course)! For the beauty and fashion side of things, these items have been on repeat, and of course I had to share some favorite snacks and goodies! I love wearing bomber jackets during the fall, especially if there is a hood attached to it. I don't have to worry about if it rains or wearing extra layers that'll feel to tight. Another thing I notice about my style during fall is that I tend to gravitate towards neutrals.